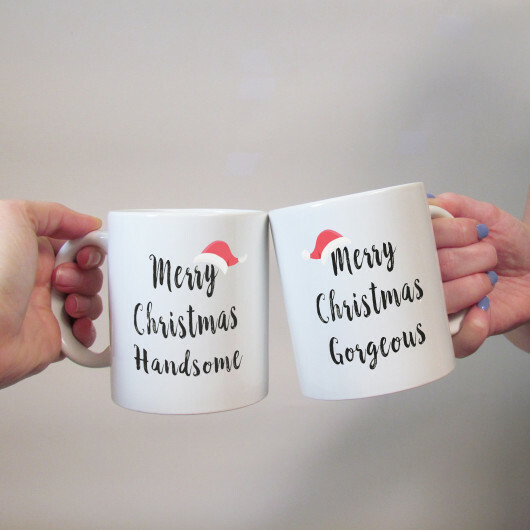 The perfect gift for any couple: This mug set features a santa hat and is perfect for any gorgeous and handsome couple! 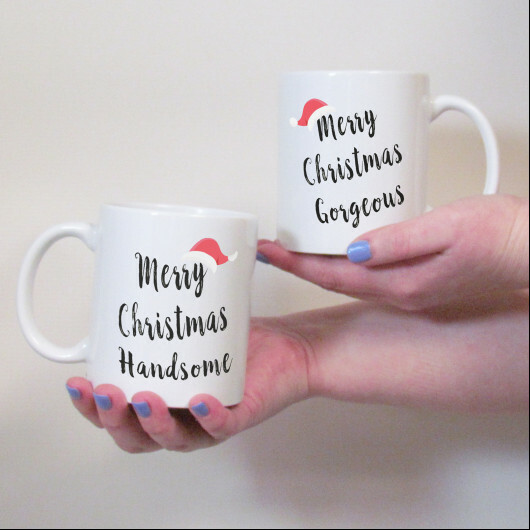 The mugs feature Merry Christmas Handsome and Merry Christmas Gorgeous design with the addition of a novelty santa hat. The mugs are designed so that they can fit together.